Testimonials - A Safe Haven for Newborns | Pregnant Need Help? Click here to see the interview Thanks so very much for sharing this interview with me – what a testimony to your years of hard work on behalf of innocent newborns. I’m glad you had the opportunity to share so many moving stories and you expressed so much passion about your ongoing work on this TV show! You are such a terrific spokesperson and your ability to speak to the issues related to infant abandonment continues to impress me. It was great to hear you mention our efforts in Kansas and Missouri! Thank you for all that you’ve done to support the KC Safe Haven for Newborns Coalition over the years – can’t believe we met in 2009 and now it is 2017! Certainly the Lord’s hand in our lives. I want David to see this video, so will cc him on this email. Thank you for all you have done and continue to do for babies and their mothers! I became pregnant unexpectantly at 20 years old. No where to turn, depressed and soon to be homeless. I contacted A Safe Haven for Newborns, They very patiently listened to my situation and then explained my options and connected me to the resources in my community, including a counselor. They were my lifeline during this most stressful, panic situation of my life. We were in contact at all stages of my pregnancy. I made the decision that it was in the best interest of myself and baby to place my baby in the Safe Haven program. I don't know what I would have done if it was not for the help of A Safe Haven for Newborns. I ignored my pregnancy for over 6 months, no pre-natal care, hiding my pregnancy, but I knew I needed to get help and I began searching online. I googled and quickly came across A Safe Haven for Newborns. Even though it was not in my state I decided to contact them and I am so glad I did. I had many questions. The first thing they stressed was having a healthy pregnancy and a healthy baby. So, they connected me to a social worker at a hospital in my city. I did not have transportation so they arranged and paid for my transportation throughout the remaining months of my pregnancy. My baby was born healthy. I decided A Safe Haven was my best option. The people at Safe Haven are very special. I have another child and thru Amazon, they sent me clothes and other necessities for my 4 year old daughter. The Baby Rescuer, I just finished reading your inspirational story in People magazine. In the photo with Kristopher, no words are needed - the love in that young man's eyes speak volumes. I am 17 years old, a high school student and became pregnant. I was so afraid to tell my mother, because my brother who is younger than me had just fathered a child and she went bonkers. I felt she would not be able to handle my situation as well. I was considering my options and called A Safe Haven for Newborns, after finding their # in a community resource guide and at a health clinic, and explained my situation. They were very understanding, offered with my permission to contact a school resource officer at my school, without providing my name to see if they could assist me in advising my mother. The Resource officer said she could, so Safe Haven made the connection with my permission. Of course, my mother was upset but came to terms with the situation and fully supports me and her granddaughter. I called and thanked the founder so much for their support and guidance and offered to share information about Safe Haven. I am so glad there is a Safe Haven in Florida. I am a single mother of 5 kids, the youngest, one month old. I was experiencing many difficulties with great emotional distress and was without hope until I called them on a Saturday morning. They did not judge me and got me help in the community right away. They even followed up after to make sure. Safe Haven for newborns was a blessing to me and my kids. I just want to let you know what a wonderful thing you are doing and how much it touched my heart that there is a loving group like you to do what you are doing. I admire you and your compassion. May God bless you and keep you as you continue your wonderful ministry. We pray for you all daily. As a parent who has experienced the great loss of a child I can tell you how much you appreciate the life of another. I pray that God will continue to bless organizations such as yours and that you will continue to help those babies who's life is so precious. Thank you for all you do! I had to do research for a class about the statistics of newborns being abandoned and the effort to stop it. Came across your site, I just wanted to say that this is a great effort and what ya'll do is amazing and heaven sent. God Bless! Dear Folks, God bless each and everyone of you for your efforts. You can be sure that I will keep you and all of the mothers and fathers and children in my prayers. I AM SO HAPPY TO SEE SO MANY PEOPLE GETTING TO GETHER TO SAVES THESE YOUNG LIVES. I PLAN TO HELP HOWEVER I CAN. BECAUSE I BELIEVE THAT EVERY CHILD DESERVES THEIR RIGHT TO SHINE. THEY WERE ALL PUT ON THIS EARTH FOR A REASON AND THEY SHOULD BE ABLE TO THAT. I believe that the work of this organization like many are a excellent help to society. Especially to those less fortunate then us and are not as well as educated on this delicate matter. This is a great site. Thank you for helping to save the lives of the newborns that are unwanted. I am so glad there is an organization that helps newborns!!! They need someone to help speak up for them! They are precious in God eyes as well as my own. I just wanted to say God Bless you for all you do for all these precious little angels! Thank you for saving God's precious gifts! Great site, wonderful work!!!! May God financially bless this organization! God Bless you for trying to help these babies! Jesus said what you do to the least of my brethren you do unto me. By helping these children you are exhibiting Christ behavior. You are an asset to not only society but to humanity. Thank you for all you do and keep it up. I'M 43 YEARS OLD AND I CAN'T HAVE KIDS AND I WOULD LOVE TO ADOPT SOME OF THESE KIDS THAT HAVE BEEN ABANDON. PLEASE CONTACT ME WITH THE INFORMATION ABOUT HOW TO ADOPT. I think that this is a very good thing to do if i could i would adopt every baby that is not wanted but i'm glad someone else can help also. Good luck with this noble endeavor. I really believe that A SAFE HAVEN FOR NEWBORNS is a great place, and i hope the life of every newborn can be saved like the life of Lydia. I read about you in our local paper...I think it's a wonderful thing you all are doing and only wish I had known about this sooner. I work a lot of jobs, doesn't leave me a lot of free time, but am interested in helping somehow. I think you are doing such great work. Please don't stop. Remember God will alway be with you. I recently heard a news report of a baby abandoned and the mother not facing procecution under the baby moses law. i was shocked and decided to research this on the internet. when i left home (florida) years ago i heard the same report but with a different outcome, that baby died. i am proud to hear my home state decided to take a stand to help extend care for the babies' sake. i'm not sure of my stance on the issue, but whatever helps save one baby is great. God bless America. What your doing is such a great deed. that you for making a safe haven for the babies. I just want to say this is wonderful that you offer this service to woman with babies! There are too many people out there that will adopt these babies, and its great to see you are saving lives! THX FOR SAVING OUR BABIES.GOD BLESS ALL..
God bless all of you wonderful people for the time,effort,and love that has been put into helping so many women and babies. Thank you for for all the hard work. great site and God bless!!! I am so happy to hear of your success. I am a member of the Safe Baby Haven Coalition based in Phoenix, Arizona. Our state's Safe Haven law was passed in 2001, and we have only three documented "saves" resulting from the law. We are a grassroots coalition trying to educate the general public and the youth to the availability of this program. We hope to someday be as successful as you! Thank you to all of you who work so hard to save those who are too small to fend for themselves. Each day that you fight for them, is another step toward making sure that EVERY baby born in your state will be safe and loved! Keep up the good work! Wonderful website!!!! Keep up the great work. As the Aunt of a Safe Haven baby I really appreciate it. Just wanted to wish the Foundation continued success! I am looking fwd to being a part of your cause. Infinite blessings! Just wanted to wish the Foundation continued success! I am looking fwd to being a part of your cause. Hi ..I wouldn't be the mother of the most beautiful little boy ever if it wasn't for this program, it should be in place everywhere. I had never heard of this program before the adoption agency we were using in Florida called us about our little boy. My son was found safe last year at this time. Today we are celebrating his first birthday he has had a very rough first year with heart surgery being part of it ,but is now doing very well. We feel so blessed to have him in our lives. Watching him grow and get stronger everyday ,starting to walk with a smile on his beautiful little face. So we would like to thank A Safe Haven for Newborns and his very brave birth mom without her and this program we would not have this very special little guy in our lives. I was looking for Safe Haven info to see what other states are doing to promote it - and I came across your site. Thank you for working so hard to get this important message out to those ears that need it before it's too late. I have the utmost respect for the brave women who bring their babies into safe havens and I've seen how happy adoptive families of safe haven babies are. Good for you for being a part of it all! Your recognition will not go unrewarded: for God placed you , your love & compassion here to protect His little ones and many hearts will heal in rejoicing of the tiny souls that need us all. I am so grateful that this exists and that many babies are saved by this program. I wish it had been around decades ago. We can only live and learn. I have just heard that in Nebraska there is a law where children up to age 17 can be dropped off at a safe haven. Nine children were dropped off from ages 1 to 17. I just want to say that this program is the best thing I have heard about in a long time! I am a mother of 3 and it breaks my heart to think of precious newborns being left all alone! But to think there is help with you guys around makes it a little easier! So praise the Lord for your love and may the Lord Bless you all!! I am a grateful mother of a two & a half year old beautiful, healthy & precious little boy. His birth mother dropped him off at a hospital. All they were able to tell us was that she was very young. But what we know is that she did an amazing thing - because of her actions and this Safe Haven Law - she made our dreams come true. I am grateful to that young girl every day - it brings tears to my eyes. I pray that she may know in her heart that she has truly given a gift. I want to give of my time, resources - whatever I can, to show my gratitude and to help educate any woman who faces this situation. Thank you, from the bottom of our hearts - for all the miracles in our life. I know this is a great work. I pray everyday for all the volunteers and the founder. Great job saving the lives of children! My husband and I have been foster parents for over 6 years in Palm Beach County and were blessed to be able to foster a Safe Haven baby this year for a short time. It's a blessing for all the women who have and whom will in the future to feel secure knowing that your newborn will be a gift of life to many loving families who will adore and cherish him/her for a lifetime.God has a special place for all of them. Our thanks for having this opportunity. I look forward in participating in this organization and appreciate the work that is already being done. I have an adopted son and it has been the most wonderful thing that has ever happened in our lives. My husband and I were blessed to adopt a safe haven baby. Our precious gift has bought so much joy into a life. He is truly a jewel that we believe the Lord provided for us. I would love to volunteer with the Safe Haven Program, especially since I am a witness to the blessing of this program. If only one life is saved... A letter to a Safe Haven for Newborns, As if in a dream, this beautiful baby wrapped in a hospital blanket is carefully carried to our door! Since I was a little girl I always wanted to have children of my own-especially a little girl! My dream was to name her Gloria, after my mother. You see, she named me Lori after hers! The perfect circle, in my eyes. Thank you Safe Haven for making dreams come true, and may God’s Grace shine upon you. A very special blessing for “tummy mommy” for loving her so much you gave her to Safe Haven. Forever our family will be grateful to the entire staff at Safe Haven for Newborns. We will also continue to spread the news through the media of this life saving program. Thank You Thank you from the bottom of my heart for all you do to save the lives of innocent little babies. If I would have had the chance that young girls and women have today with the Florida Safe Haven for Newborns option, I would have saved my baby’s life. There are babies now being fed, rocked and loved today because of everyone associated with the Gloria M. Silverio Foundation – “A Safe Haven for Newborns”. Thank you from the bottom of my heart the safe haven law has saved thousands of lives and it is worth it. When I found out I was pregnant I didn't know what to do. I thought that if I just didn't think about it and acted like it wasn't happening, the situation I was in would resolve itself. I kept my entire pregnancy hidden from my family and friends and isolated myself for three months. All I had was the support of two very close friends...until I called Safe Haven. When I called I knew that my due date was days away. I was so distressed and so alone and hadn't put a lot of thought into what I was going to do when it actually came time to deliver the baby. The call to Safe Haven was the best decision I ever made. I wasn't judged, and I was treated with respect and kindness throughout the whole process. I received medical care the day after I made the call, and the day I went in I ended up giving birth to a beautiful, healthy baby girl. I received calls every single day I was in the hospital, and was provided with a direct number should I have any questions about the financial side of the delivery or any other part of it. My baby is now going to be raised in a kind, loving family that I was able to choose, and I will receive pictures and letters so that I can watch her grow. Absolutely none of this would have been possible without Nick and Safe Haven. I'm so grateful for everything and I thank God every day that I was able to give a gift to two people who truly deserve it, and that Safe Haven was there for me every step of the way. We Love You Kaya I am a witness to what a blessing A Safe Haven for Newborns is. A situation presented itself in the life of my family and I. That situation was that of an Angel, a Blessing, a Newborn abandoned baby. With no where to turn and uncertain of what to do, I contacted A Safe Haven for Newborns. With the guidance of Nick Silverio, there seemed to be some hope for what seemed at the time a hopeless situation. In a matter of time my kind sister whom cared for this precious Newborn was in contact with very helpful people. Today I am happy to say that my sister was recently contacted and advised that the baby was doing well and in good hands. God Bless this program, My Sister,and everybody that gave hope to this beautiful baby at having a much deserved happy, healthy and successful life. I never once thought a situation like this would hit so close to home. It made me aware of how serious of a situation this is. I encourage anybody and everybody to seek help in a situation which involves a newborn. It is as simple as picking up the phone. It worked for us and that beautiful baby who will always and forever be in our hearts and loved by us. Thank you Safe Haven for Newborns. God Bless you Kaya. There is an angel watching over you. Our agency had the pleasure and honor of working with Nick and A Safe Haven for Newborns and witnessed firsthand the respect and understanding he provides to women choosing the Safe Haven process for their babies. Nick follows up and checks on birth parents, babies, and adoptive families showing his on-going empathy and concern for everyone’s well-being well after the initial crisis is over. Safe Haven is a much needed option that should be available to any parent faced with the inability to care for their newborn. We hope Nick and this organization are around for a very long time as there are so many lives to be saved… thank you for all you do. I want to thank you for what you have done for me-I really, really appreciated it. You are saving lives. I know God will continue to bless you and guide you along the way. You have helped me during my very difficult time and have made a difference in my life. I want to tell the young girls , if you are pregnant and need help, call Safe Haven. It is confidential. They are very kind and will not judge you. Please, please help this wonderful program, any amount will be appreciated. The work of Safe Haven is a blessing to Florida. Thank you Nick for our friendship & your committment to savving the lives of so many newborns. From the fire service we remain grateful to partner with A Safe Haven & can attest to a program that is truly having a positive impact in our state! What a wonderful program. I have been a nurse for 27 years and have never been offered the opportunity to have a learning experience with A Safe Haven for Newborns. I will be getting information out to the nurses I work with so that they to may have a better understanding of your programs and the lives it saves. Beautiful website and idea. Not only does it provide an alternative to abandonment but it also shows hope that even if youre in a bad situation theres a way out. "No temptation has seized you except what is common to man. And God is faithful; he will not let you be tempted beyond what you can bear. But when you are tempted, he will also provide a way out so that you can stand up under it." 1 Corinthians 10:13" and i don't interpret the temptation to in regards kill the baby but the temptation to let fear and guilt dictate the life of the baby and the mother. Praise the lord for this organization. I am writing an English Paper on this topic and I am surprised to find how that this is an interesting topic. Seems like we really need the service throughout the U.S. The Baby Rescuer Reading the article, The Baby Rescuer, in the Feb 10th edition of People magazine, moved me to make a donation. I hope others do as well. Miami is my hometown and I praise Nick Silverio for all his good work! God bless! Nick, I read about you and your operation in People Magazine in February. I ripped out the page so i would remember it. Your story is very inspirational. I’m a 56 yr. old software executive who is looking forward to retirement in about two years (when i expect my current company will have some form of liquidity exit), and when people ask me “what will you do next?” I always say “i’d like to do something that helps people.” I often cite your story as an example. 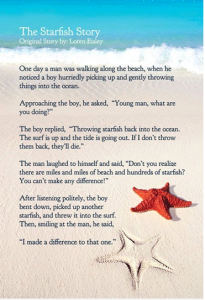 It must be rewarding to make a difference in someone’s life every day. I’m inspired by what you’re doing. I hope I can do something similarly meaningful. Merry Christmas Nick, I was thinking about you today as one of the beautiful people in this world that has heard God calling and listened. You are an example of what Christmas is all about! I also was thinking of the number of little children who's Christmas was made extra special because you came into their lives. So Merry Christmas my dear friend, you are blessed, and you are loved. P.S. Loved the Christmas card you sent with the pictures I will cherish forever. I am so proud to have a brother like Jerry and you two are blessed to have each other for friends. God bless you! I want to thank you for what you have done for me, I really appreciated it. You are saving lives. I know God will continue to bless you and guide you along the way. 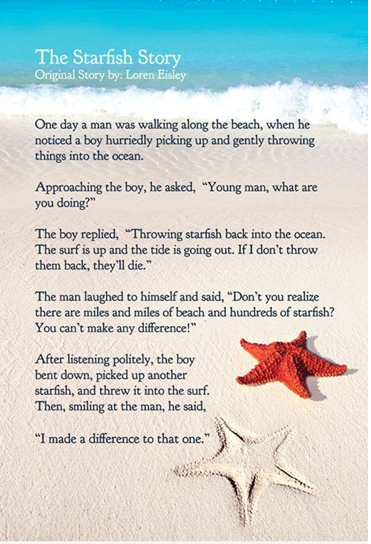 You have helped me during my very difficult time and have made a difference in my life as well as others. I Thank God that you have a passion to save kids from being abandoned God Bless You!!! Great information! Great program and extremely grateful to have this option available to our community. Honored to be an advocate and be part of the solution for these innocent angels. Happy Birthday Safe Haven I have supported this organization since its inception and have seen it grow from an idea into such a worthy cause of saving lives. Thanks to Safe Haven 156 precious little lives have been saved, 46 in South Florida alone. Now they all have a future. Safe Haven is truly making a difference. I have such admiration for Nick Silverio. He took the tragedy of his wife's death and turned it into a living, breathing memorial. Safe Haven is a beautiful Legacy for his wife, Gloria. What a blessing Safe Haven is! It's an organization that everyone should know about and support. Safe Haven changed my life and my family's life. Thanks to Safe Haven, we were able to adopt our son Kristopher, a rescued baby, and now he is a smart, funny, articulate 7 year old. There are so many women in need, and Safe Haven offers them open arms, no questions asked. It saves them from a lifetime of grief. I truly admire Nick Silverio, a man of great heart and integrity. Nick speaks for children who have no voice; he is like a godfather to all the rescued babies. One day, they will all know they are alive because of him. Hello my name is Kristopher Michael, I am very thankful for A Safe Haven for Newborns. My birthmother decided to leave me in a safe place instead of leaving me in a dangerous place. I would like for my tummy mom to know that I pray for her. I love my mom and dad very much and my life is super cool. We go to church on Sundays, I am homeschooled and in the 3rd grade. I have lots of friends. I love to play soccer and baseball. I take Tae Kwan Do and guitar lessons. When I grow up there are many things I want to do. Some of my top things are to travel the entire world, be an astronaut, be a professional soccer player, or possibly the President of the United States! To my Uncle Nick, I want you to know that you are my hero and I love you for all you do to help babies that would not have a life if you didn’t care as much as you do! I love you so much Uncle Nick. I will thank God for you all my life! I want to thank you for what you have done for me. I really, really appreciate it. You are saving lives. I know God will continue to bless you and guide you along the way. You have helped me during my very difficult time and have made a difference in my life. I want to tell young girls, if you are pregnant and meed help, call A Safe Haven for Newborns. It is confidential. They are very kind and will not judge you. Please, Please help this wonderful program, any amount will be appreciated. Great seeing you again and as always grateful for your support. We are very appreciative of your participation at St. Mary's Cathedral School health fair.